If during a phone call or initial meeting you managed to impress a prospective investor, be sure that you will be asked to submit the daunting business plan proposal. Do not worry! As daunting as it may seem creating it as satisfied you will be in the end once your proposal reached its goal. 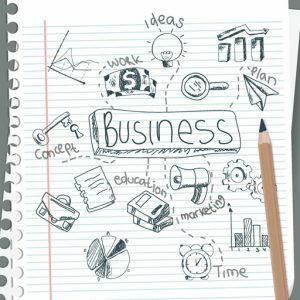 Just follow these simple golden rules that will help you put together a winning business plan proposal. Before you even start, it is highly important that you gather as much information as possible about your competition. You need to create a plain and crystal clear picture about how your business differentiates from others. Stick to those differences, emphasize them and present them as your key activities. Often two or more minds work better than one. Try to reach colleagues, friends, check YouTube tutorials and other written materials that could help you create a clear presentation. Consider all the ideas presented and then work up the best ones to introduce in your proposal. Deciding over a structure for the business plan proposal is extremely important. It is a one-page document helpful or a full 30-page paper with a detailed analysis? Is your prospective investor too busy to ready it? Commonly, the answer is yes, but try to find more pieces of information about your prospective in order to see what type of presentation you should create. Ploughing through pages of market analysis and recommendation can be daunting. Engage your prospective in an interactive presentation and use charts, diagrams, and other visual materials. Your aim, indeed, is to sell yourself and the bet selling forms are the narratives. A narrative will better reach the prospective and chances that you might get a positive answer increase. Humanize your presentation and keep it professionally at the same time! Imagine that you are not the only one hunting for a prospective and chances are that you aren’t the only one hunting for the investor that has been approached by you. Make sure that you follow the above golden rules to increase your chances to initiate the deal of your life!